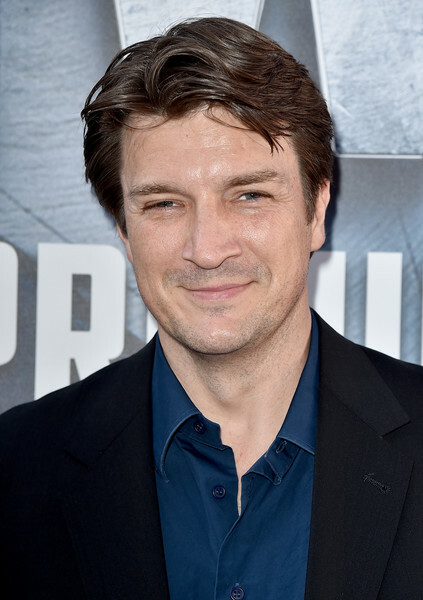 ‪Nathan Fillion‬ attends ‪Captain America‬ ‪Civil War‬ Premiere. . Wallpaper and background images in the Nathan Fillion club tagged: photo ‪nathan fillion captain america‬ ‪civil war ‬ premiere 2016 events. This Nathan Fillion photo contains costume d'affaires, costume d’affaires, costume, and costume de vêtements. There might also be costume trois pièces, costume double boutonnage, combinaison à double boutonnage, pinstripe, and à rayures pinstripe.